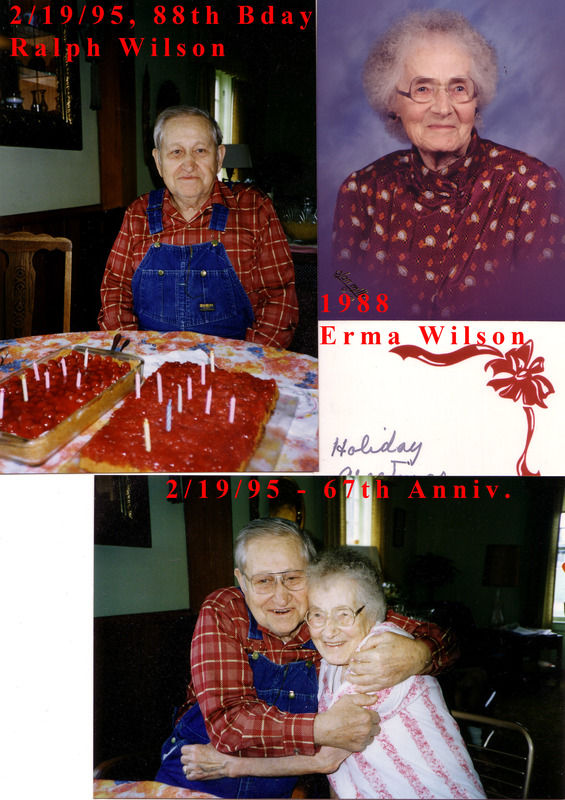 My Grandmother (Erma Louise Wilson) was born on 12/20/1906 and died on 10/14/2005 at the age of 96 of complications following a stroke a few weeks before. We held the memorial service for her on 10/28/05, and here are some pictures from that day. 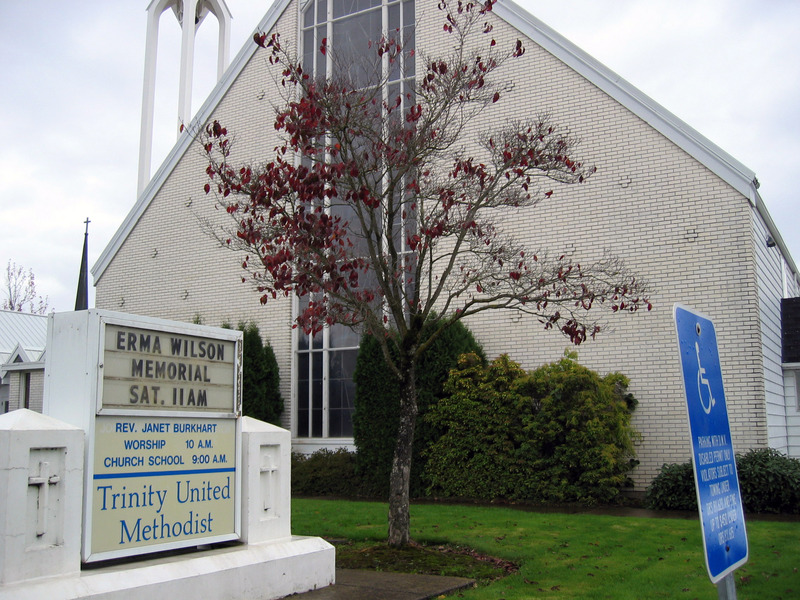 The service was at Trinity United Methodist Church in Salem Oregon. This is the Church Erma attended for the last 40 years of her life. Below are some pictures of my Grandfather (Ralph Wilson) and my grandmother (Erma Louise Wilson, Erma Simmons before she was married). Grandpa was born on 2/24/1907 and passed away on 3/6/1995 at the age of 88 (10 years ago). After the memorial service, family and friends gathered in the church for lunch. 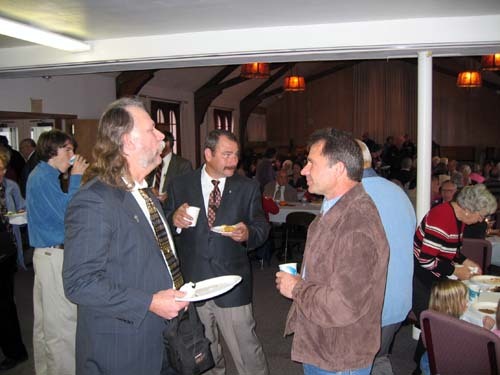 Below on the left is Chip (Ralph 3rd) Wilson (Erma's grandson), Bruce (Chip's brother) in the middle in the tie, and Larry Pfennig in the brown jacket. Larry and his father Henry rented the farm land from my Grandfather and Grandmother after they retired from farming. In the green in back is Lori (wife of Greg who was Erma's grandson), pink in front is Deeann (Erma's granddaughter) and in the brown shirt on the right is Gare (Deann's husband). And a whole batch of their kids (Erma's great-grandsons and great-granddaughters). 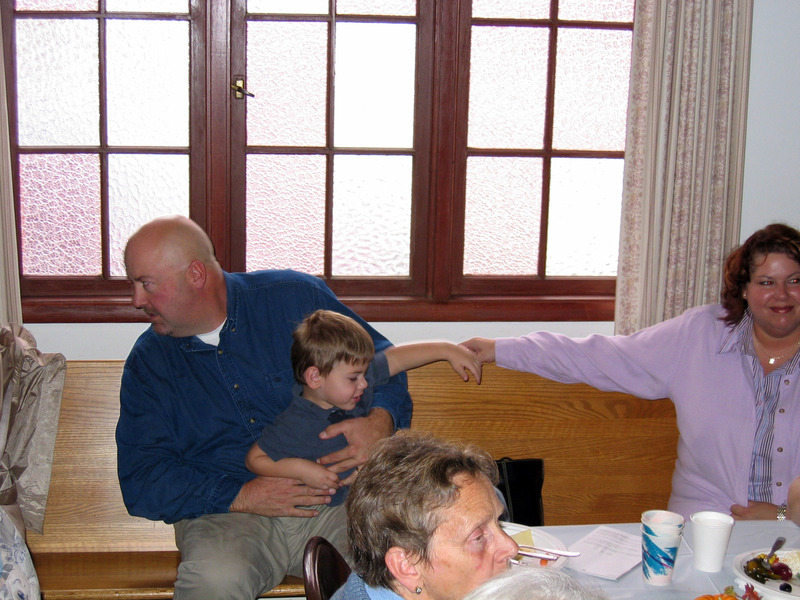 Bruce Craig (Erma's grandson) and his son both in blue shirts and grey pants. 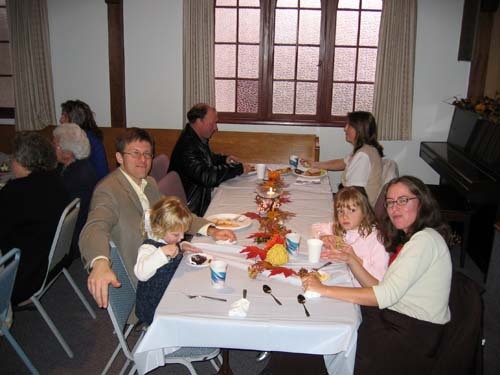 Doug Wilson (Erma's grandson) and Mariliz his wife and their children (Erma's great grandchildren). 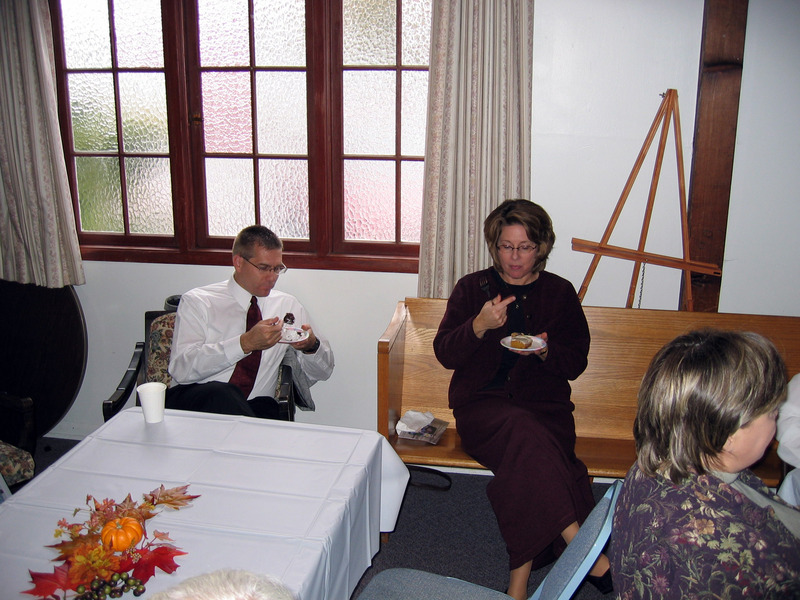 Mark Hoffmann and Cheryl (his wife and also Erma's granddaughter). Tyler (Erma's great grandson) and Jennifer his Mom. 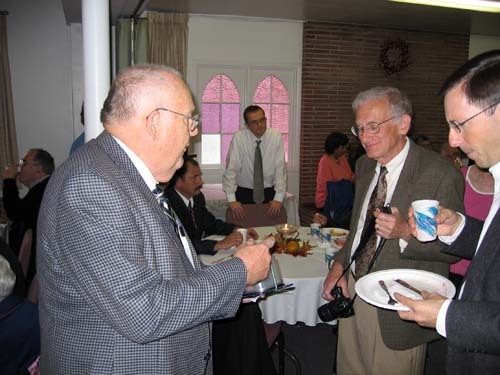 Greg (Erma's grandson) leaning over the table, my Uncle Walter (Erma's son) with the camera, and Randy Wilson (Erma's grandson) on the right. Howard Wilson (Erma's son) on the left, Walter Wilson (Erma's son) with the camera. These are the surviving two children of Erma, her first born son of Ralph 2nd died 2 years before on 6/15/03. 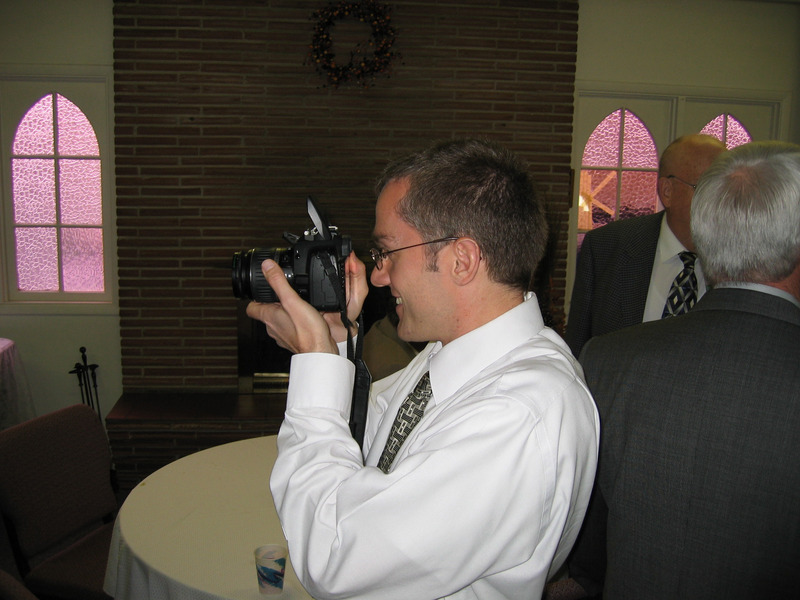 Greg (Erma's grandson) with his dad's camera. 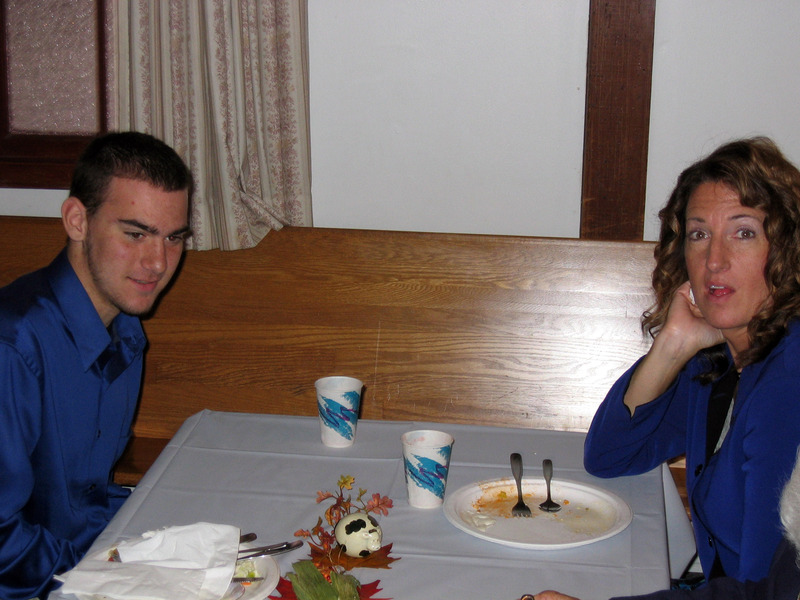 Deeann and Gare sharing a quiet moment. 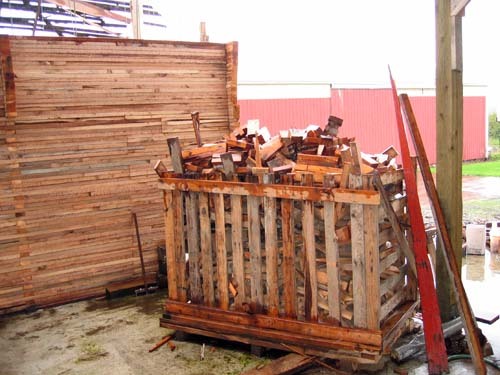 Below is a picture of a lot of Erma's surviving descendants. 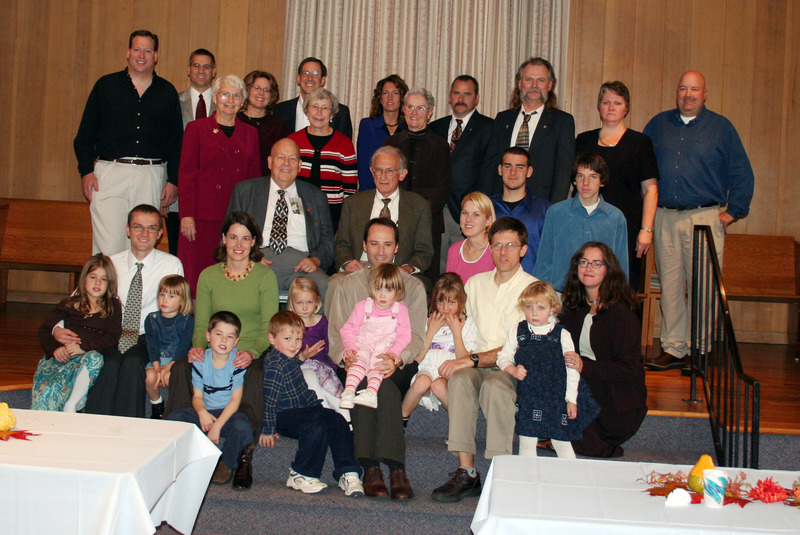 From left to right in far back: Brian Wilson (grandson), Mark Hoffmann (married to Cheryl), Cheryl Hoffmann (granddaughter), Randy Wilson (grandson), Jennifer Wilson (married to Bruce Allen), Bruce Allen Wilson (grandson), Ralph 3rd (Chip) Wilson (grandson), Karen (granddaughter), Bruce Craig Wilson (grandson). From left to right next row: Shirley Wilson (widow of Ralph Jr.), Virginia Wilson (married to Howard), Connie Wilson (married to Walter). 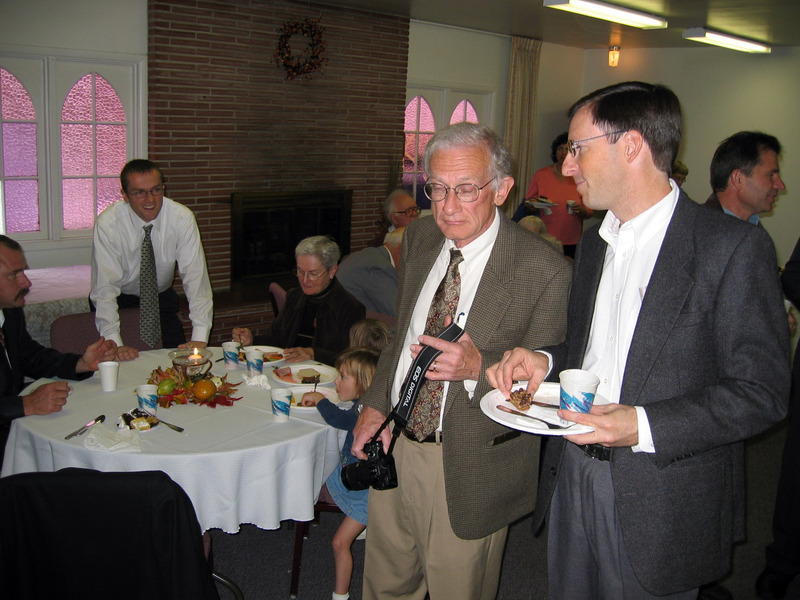 Sitting left to right: Howard Wilson (son), Walter Wilson (son), Tyler Wilson (great-grandson), Travis Wilson (great-grandson). Front Row holding their children: Greg Wilson (grandson), Lori (married to Greg), Gare (married to Deeann), Deeann (granddaughter blonde in pink), Doug Wilson (grandson, white shirt), Mariliz (married to Doug). Notably missing is Ralph Jr., Erma's oldest son, who has passed away. In the very front row is the next generation, from left to right it is: Casey, Paige, and Bradly (in front of Gary and Lori), ??, ? ?, ?? 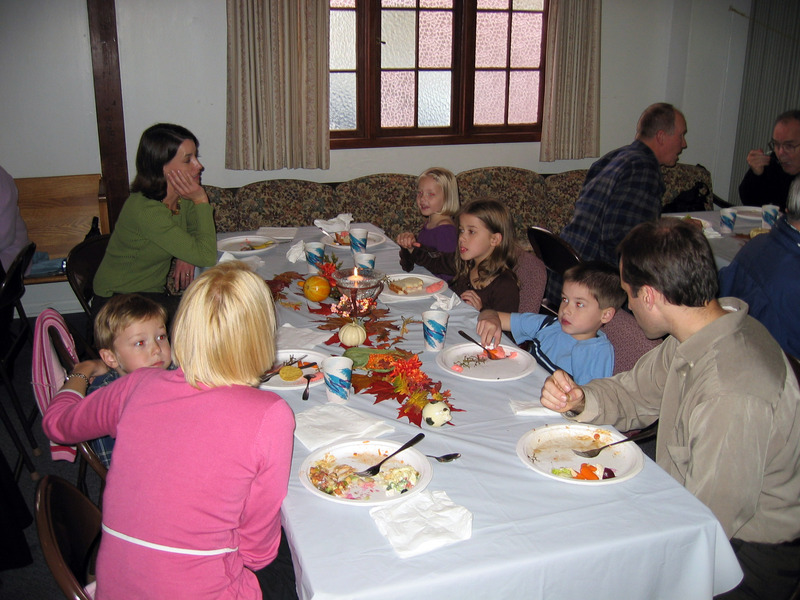 in front of Deann and Gare, and Camille Sage Wilson and Angelina Wilson in front of their parents Doug and Mariliz. After the service and reception, the greater family returned to Erma's farmhouse and farm where many of us visited and played and grew up. Below is my brother Randy Wilson standing in what we all know of as "the grass seed cleaner". 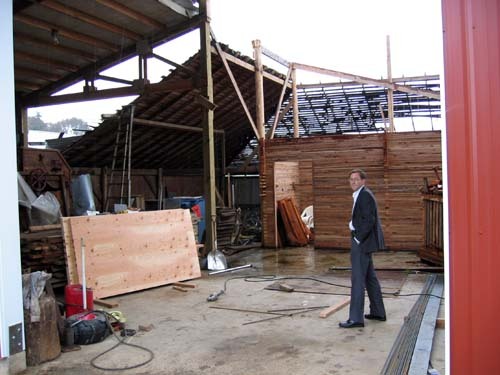 It is being rebuilt by my cousin Bruce to look like the original, but of completely new materials. Both Randy and myself worked at this grass seed cleaner around age 17 and 18 (20 years ago). At Randy's right foot is "the pit" which was where trucks emptied the grass seed into and an elevator took it up to various storage bins. This is the last remaining corner of the original grass seed cleaner, that Bruce will be tearing down soon. 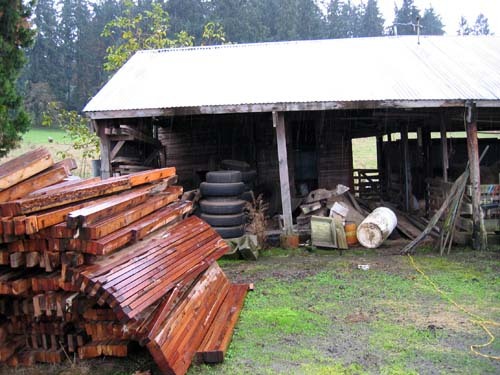 Below is what we call "the old barn" or "the sheep barn", that predated the grass seed cleaner. 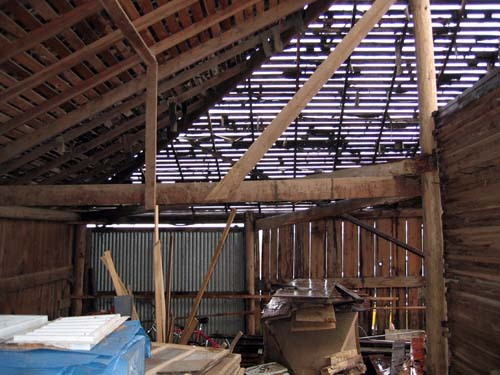 Below is a panorama of the sheep barn, use your horizontal scrollbar to see the whole thing. 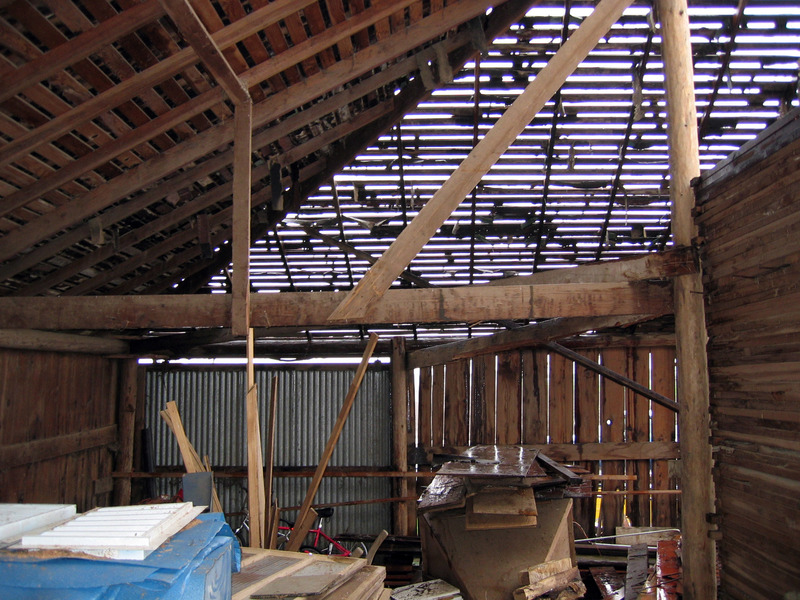 Below is a panorama of the main first floor of the farmhouse that Erma owned and lived in 70+ years from age 26 through 96. Erma moved in after her sons Howard and Ralph were born, but before her son Walter was born. My father and uncles were raised here. 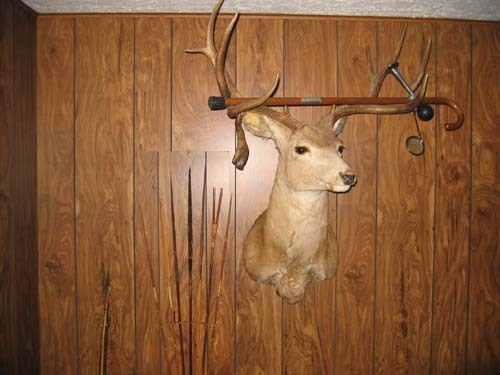 In the back den, this was my Grandfather's prize deer, the biggest he ever shot. In its antlers is stored a joke walking cane he received on his 80th birthday as a gag gift. 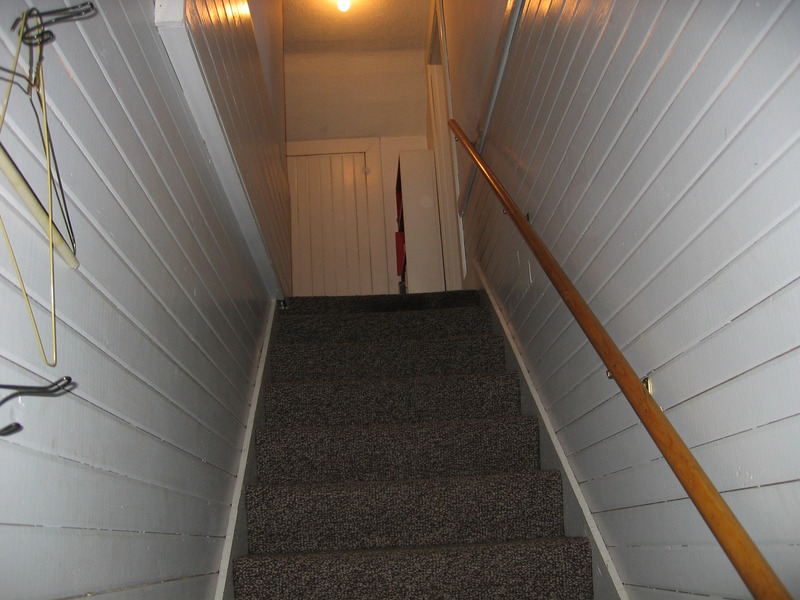 The stairs leading to the second floor in the farmhouse. There are two rooms on the second floor. This is the first room that was "finished", and was first occupied by my Uncle Ralph (Ralph 2nd) and Don Wilson (relative). When the NEXT room was finished this first room became Howard's (my father) room all through his high school and college. 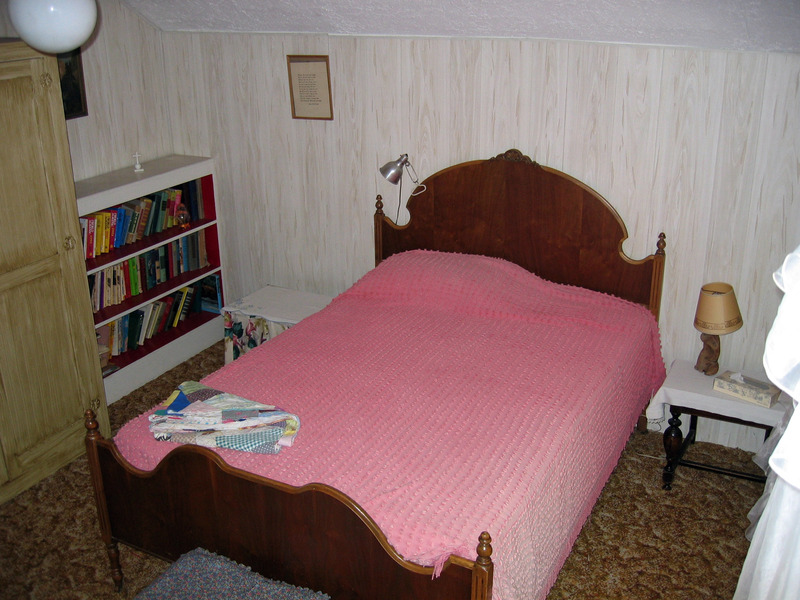 This is the other room on the second floor, the second one finished, the one towards the orchard. 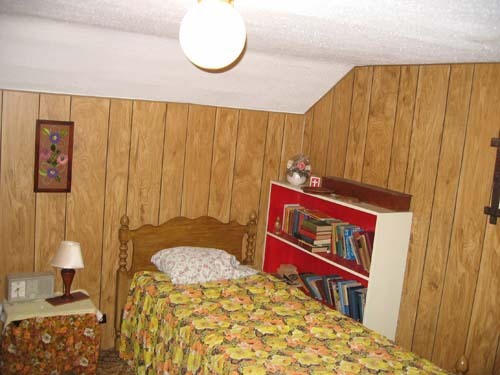 When it was finished, it became Uncle Ralph's room through high school and college. 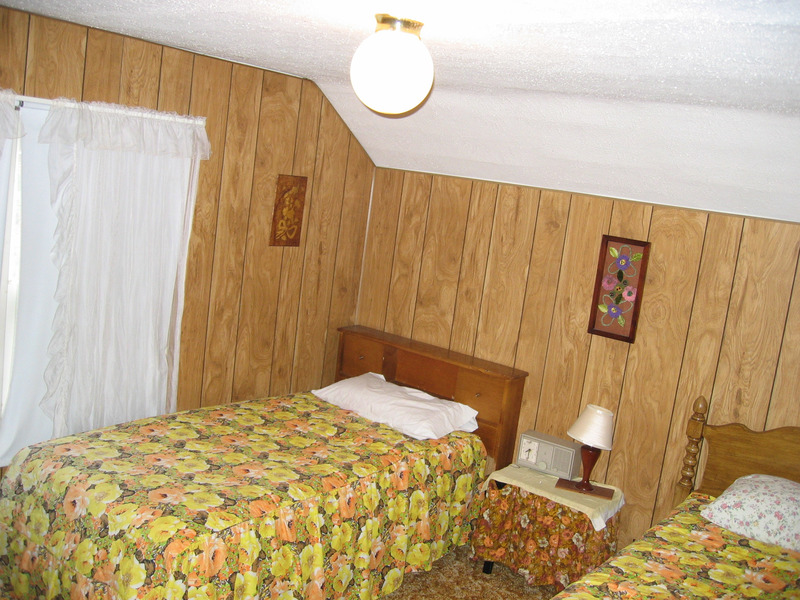 Other picture of the same room. Below is an aerial photo of the Wilson family farm. First with red lines annotating various things. 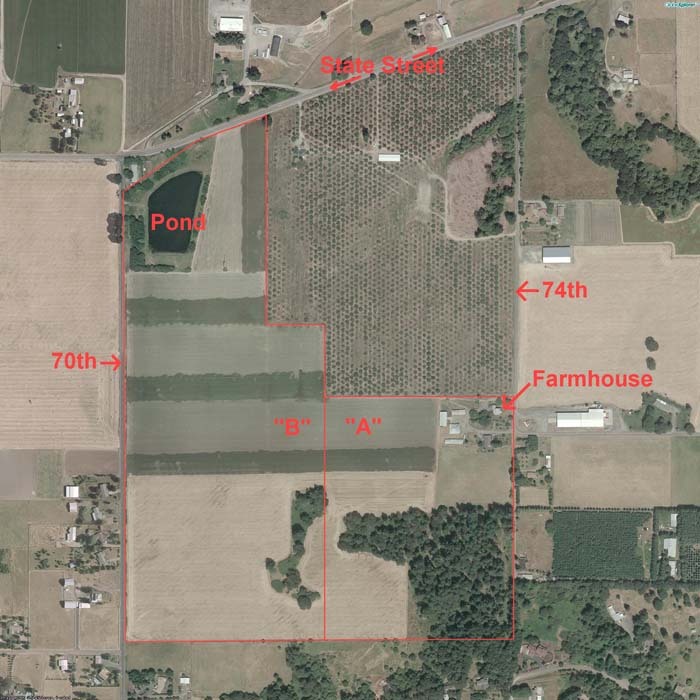 Click on that photo to see a truly enormous zoom in of the property. Below is the IDENTICAL photo, without the red annotations to preserve the original (click on the photo to see an enormous zoomed in version of the property).